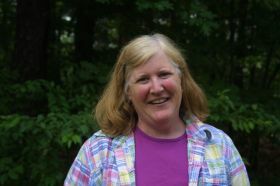 Dr. Judy Silverberg has worked for over thirty five years in environmental education in Wisconsin, Connecticut and New Hampshire, twenty seven of those years as wildlife education programs supervisor for NH Fish and Game. Currently, she is the NH Project Learning Tree Coordinator (part-time) and operates her own educational consulting business Environmental Education Strategies LLC. She has a Bachelors Degree in Wildlife Ecology and a Masters Degree in Environmental Education from the University of Wisconsin. Her PhD is from the University of New Hampshire in Natural Resources and Human Dimensions. Judy has taught students, teachers and college students about our natural world and science process skills. She has received a variety of awards for her work in environmental and science education including the Howard I Wagner award for excellence in science education from the NH Science Teachers Association and the John Pearce Memorial Award for accomplishments in environmental and conservation education from the Northeast Section of the Wildlife Society. She is a naturalist and author.